We're not greedy. We spend a hell of a lot of time scouting out inspiration, squeezing out originality and hammering out creativity. But we don't simply hoard it all. We like to share the love. Here at our own little agency store you can scour through the rich pickings that represent our own quirky output as well as some cool things coming from other designers, entrepreneurs and nut jobs here in Shanghai. 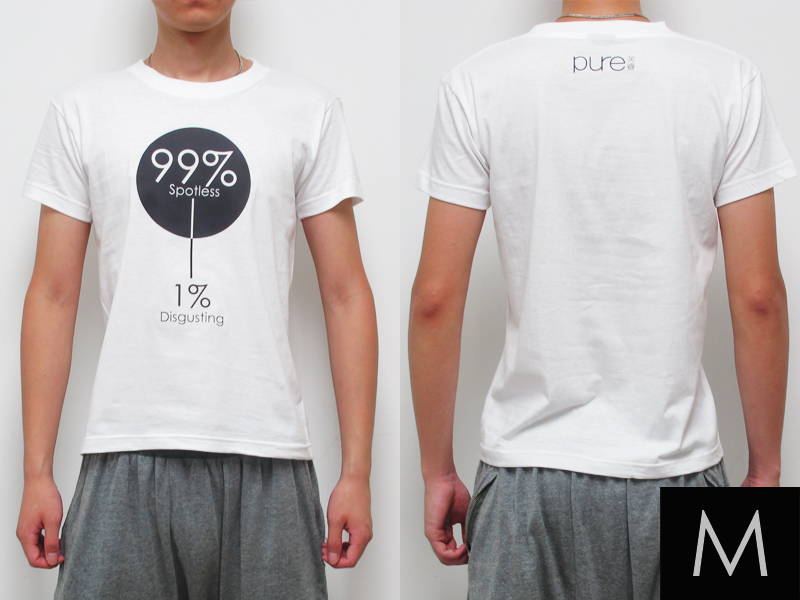 Pure white t-shirt with frontal print featuring the nifty slogan "99% Spotless, 1% Disgusting". Pure white t-shirt with frontal print featuring the amazing slogan "Pure on the inside" followed by the insidiously positioned counter-slogan on the back reading "Filthy on the outside". Pure white t-shirt with frontal print featuring the splendiferous aphorism "Clean Conscience, Dirty Mind". Orders within China PRC are delivered by SF Express within 1-4 working days (this period is for information purposes only). International Orders are delivered by DHL within 1-4 working days (this period is for information purposes only). We usually deliver on time, but we cannot always guarantee punctuality. When the order leaves the warehouse, you will receive an email stating the estimated delivery date. Deliveries are made between Monday-Friday and never on Public Holidays. Bear in mind that deliveries are made in normal working hours, it is therefore a good idea to use an address where someone can collect your delivery. You can pay for your purchases with a credit card (JCB, Visa, Mastercard and American Express) via Paypal. The corresponding amount will be charged when you confirm your purchase.